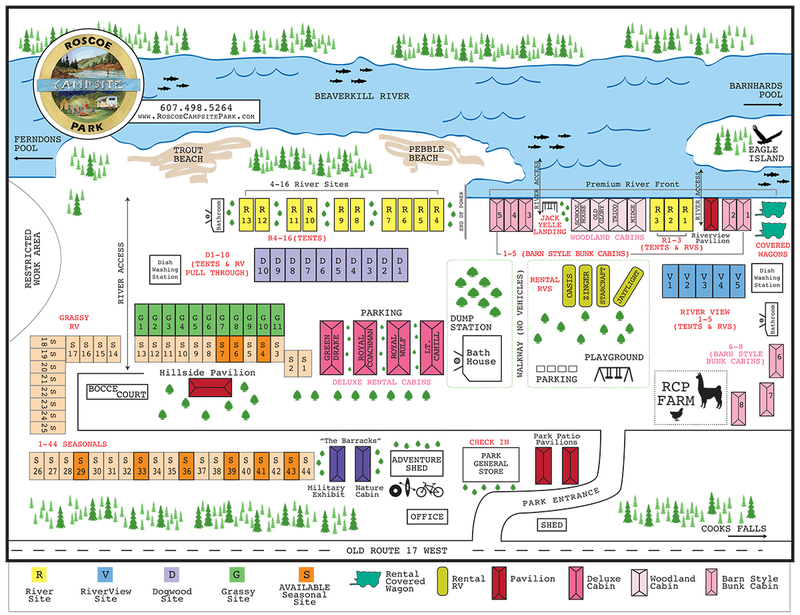 Trico (PET FRIENDLY), Midge, Old Glory, and Schoolhouse – 1 Bedroom Open Cabin – $165 per Weekend night (Friday & Saturday). $125 per Weekday night (Sunday – Thursday) $955.00 weekly. Rates are based on 2 Guests. Children under 10 are free. Maximum occupancy of 4. 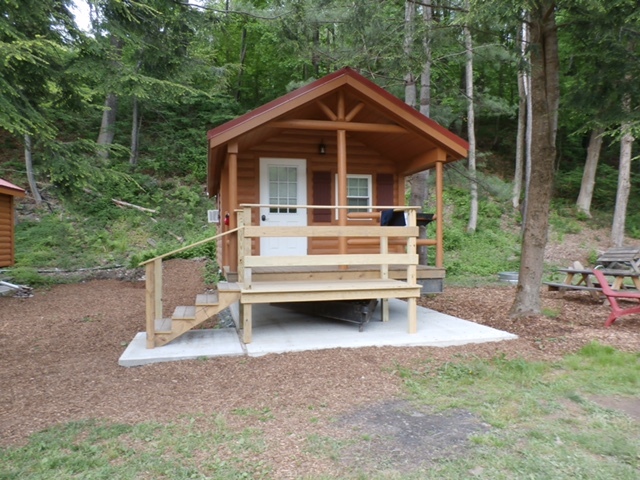 The Roscoe Campsite is offering something truly special in our Woodland Riverfront cabin series. 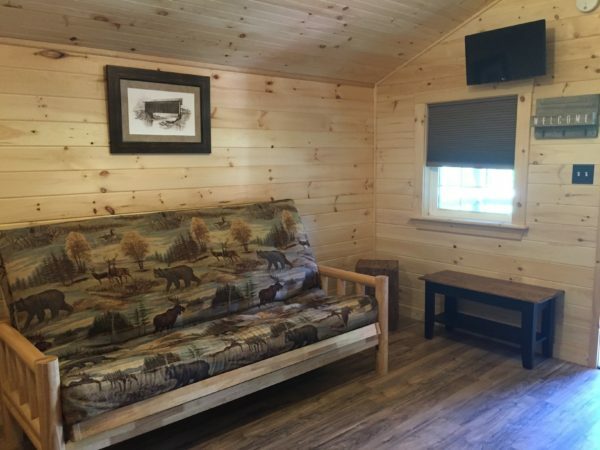 When you close your eyes and imagine a perfect cabin located directly on the banks of the Beaverkill River as you stand on your deck being able to view hungry trout feeding on the evening hatch, you will start to hear the majestic clear waters of the Beaverkill flowing by. Then you hear the distinctive sounds of our resident bald eagles in the treetops above standing guard over our abundant population of brown and rainbow trout. This becomes a dream come true in the Old Glory and Schoolhouse cabins! 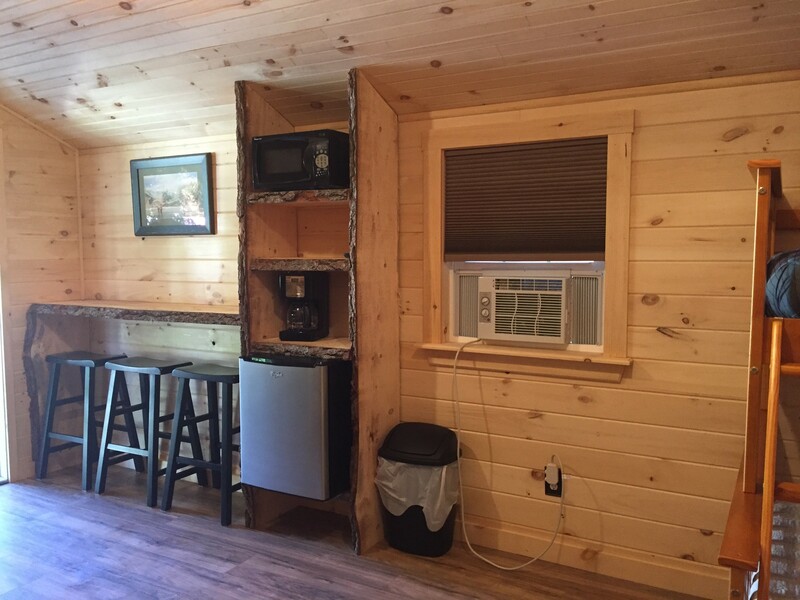 Fully finished in Ponderosa knotty pine with an open floor plan. 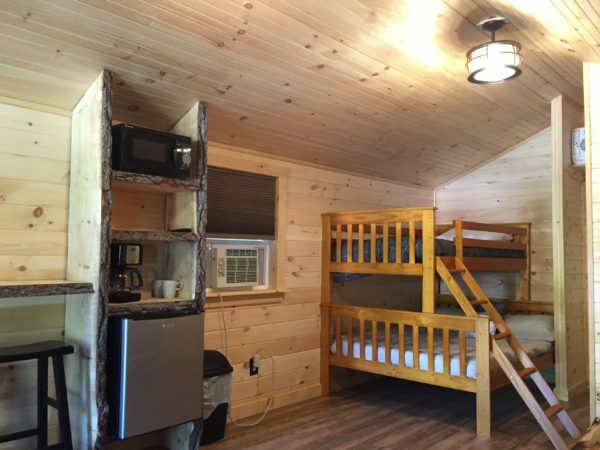 These cabins offer a Twin over a Full bunk bed with a Full futon fold out bed. They each have a half bath with a sink and flush toilet and an efficiency style kitchenette with a microwave, coffee maker and small refrigerator. 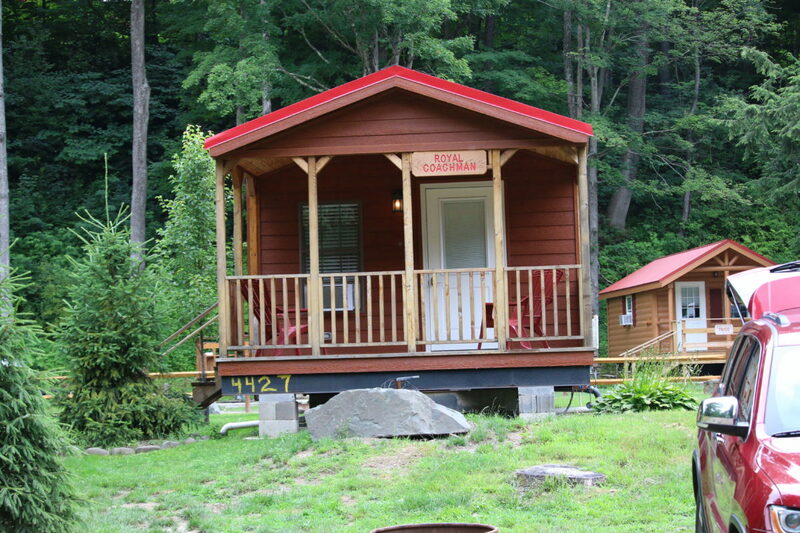 Like all our cabins these are air conditioned and have cable TV. Also are conveniently located close to our bathhouse for showering.